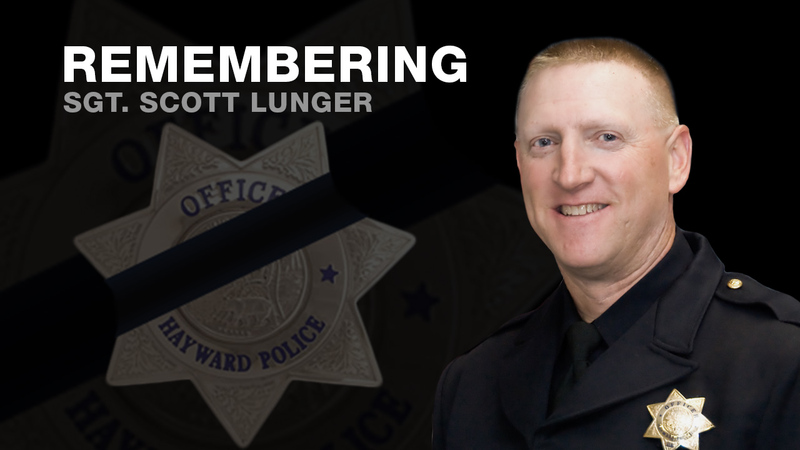 A public funeral service will be held to lay fallen Hayward Police Sergeant Scott Lunger to rest on Thursday, July 30, 2015. HAYWARD, Calif. (KGO) -- A public memorial service was held at Oracle Arena in Oakland Thursday to honor fallen Hayward Police Sgt. Scott Lunger. Law enforcement officers from around the country attended. 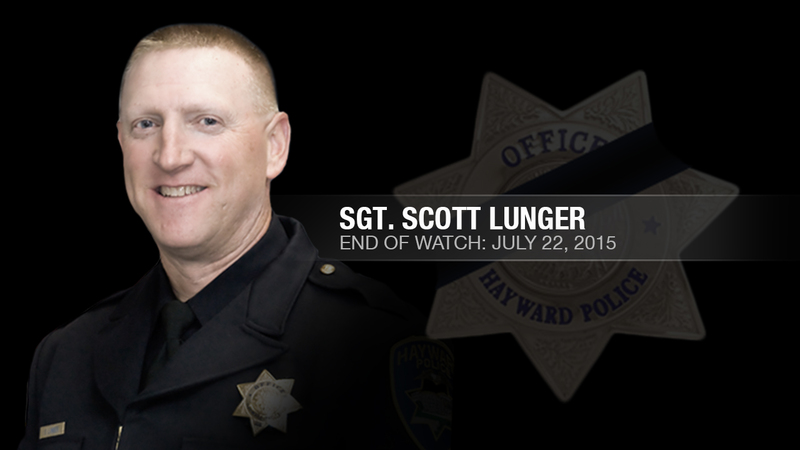 Family, friends, fellow law enforcement officers, and the Hayward community are mourning the loss of the sergeant who was fatally shot on Wednesday, July 22, 2015. The 15-year veteran, who was well-respected by fellow officers, leaves behind two daughters. 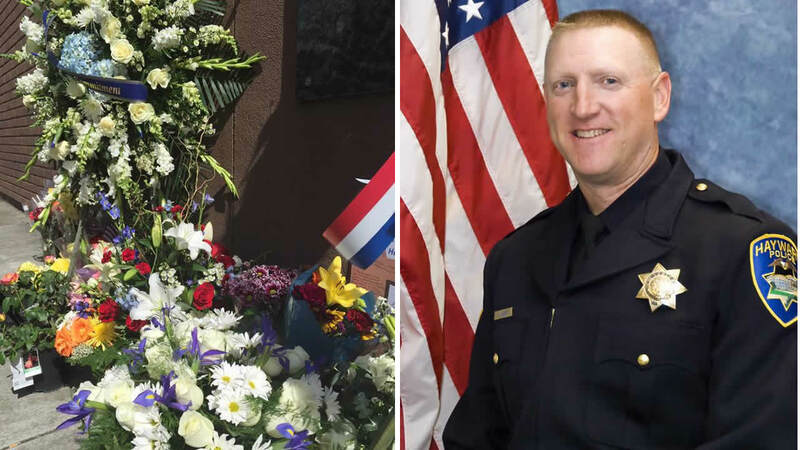 "His murder is a reminder that the work we call our police officers to do puts their lives in jeopardy every day, every stop," said Rep. Eric Swalwell, D-Calif. The East Bay congressman paid tribute to Lunger on the House floor in Washington last Thursday. On Wednesday it was announced that Gov. Jerry Brown will attend the memorial at Oracle Arena. 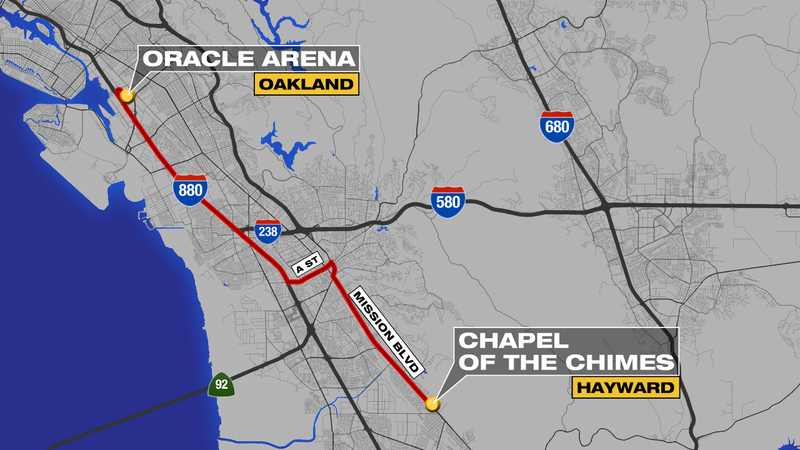 The public viewing was held at Chapel of the Chimes, 32992 Mission Blvd, Hayward from 4 p.m. to 9 p.m. on Wednesday, July 29. A police motorcade escorted Sergeant Lunger from Chapel of the Chimes to Oracle Arena. The procession departed at 8:45 a.m. on Thursday, July 30. The route followed Mission Blvd. north to Foothill Blvd., continuing north to A Street, turning west on A Street to northbound Interstate 880, proceeding to Oracle Arena. The procession entered the Coliseum Complex under a flag raised by the Hayward Fire Department. Community members were invited and encouraged to pay their respect by turning out along the motorcade route to safely observe the procession from the sidewalk. The public was warmly invited to attend and encouraged to arrive early to avoid disrupting the proceedings, which began promptly at 10 a.m. The event was open to the public but burial services for Lunger are private. 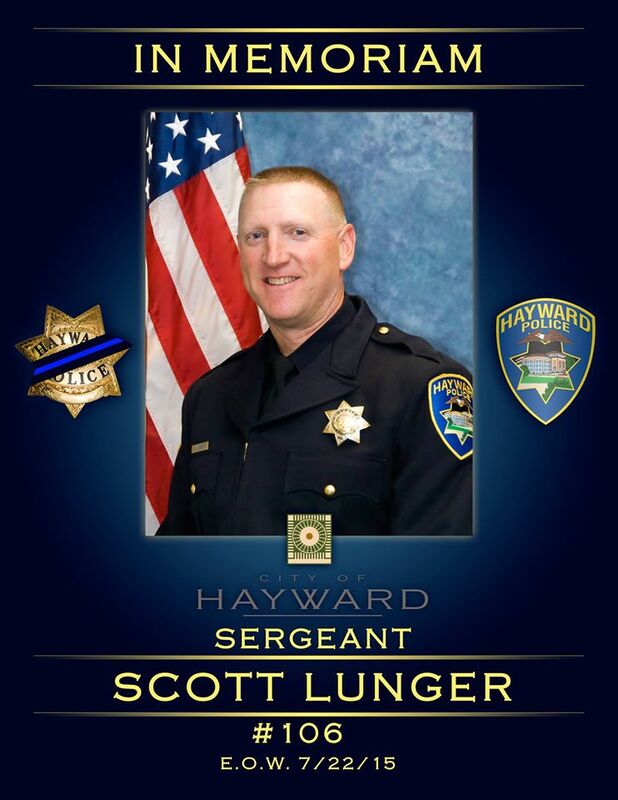 As the Bay Area unites to honor Sgt. Lunger, please share your photos and videos with us by tagging them #abc7now onTwitter, Instagram, or Facebook. Due to the live coverage of the procession and memorial, "LIVE! with Kelly and Michael" will air at 1 p.m., "General Hospital" will air at 2 p.m., and "The View" will air at 3 p.m.